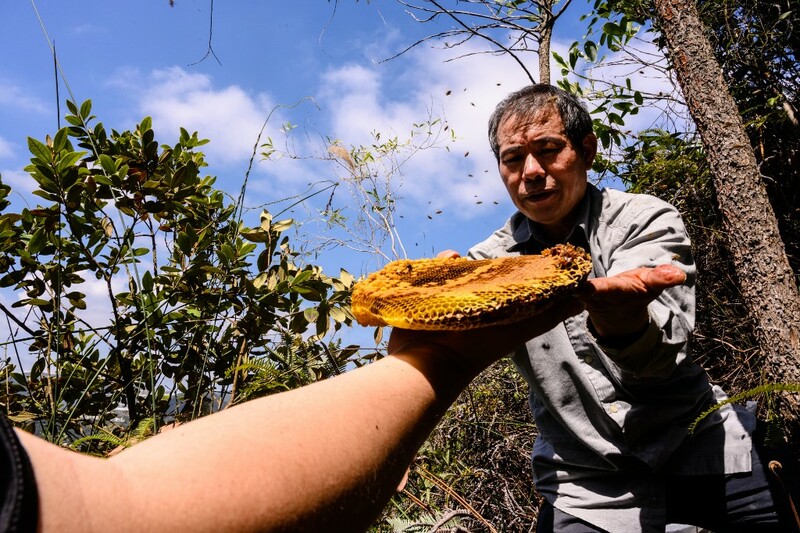 High up in the hills above Hong Kong, Yip Ki-hok uses nothing but his bare hands to remove a honey-filled nest of swarming bees — a remarkable skill he learned after the hardship of China’s famine years. This photo taken on February 14, 2019 shows beekeeper Yip Ki-hok, 62, (R) passing a honeycomb to his son Hugo (L) after he removed the honey-filled bees nest from a hillside using his bare hands in Hong Kong. Photo: Anthony Wallace/AFP. He searches for the queen as stragglers buzz around him — a crucial part of the operation as the other bees in the hive are fiercely attracted to her. “Without the queen, they will get angry and go looking for her everywhere. If they can’t find her they will fly right back out of the cage. They’ll fly around everywhere to find her and start stinging like crazy,” he said. “Why would I need those things? I know their nature like I know my own hand. No matter how mean they are I still have a way to tame them,” he explained. It was on the Chinese mainland Yip learned his skills, in the wake of Mao’s famine when millions starved and people took whatever steps they could to survive. After his wife’s family successfully relocated to Hong Kong in 1983, Yip followed — although it took him some five years as he was caught each time he tried to smuggle himself across the border before eventually making it through legally. Within a year he had 150 healthy hives, laying the foundations of a business which has since grown into one of the city’s biggest local honey producers. 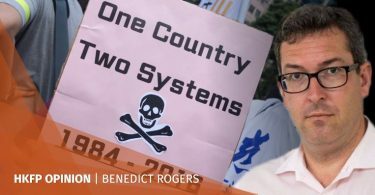 But as the global climate warms and fuels bigger storms, his livelihood — and Hong Kong’s bee population — face increasing challenges to their survival. Last year Typhoon Mangkhut — the most intense storm on record in Hong Kong — tore through the city, knocking down tens of thousands of trees and flattening huge swathes of pollinating flowers. “Last year this hole was full to bursting, but it wasn’t like that this year,” he said, referencing the hillside where he had just plucked out the hive.